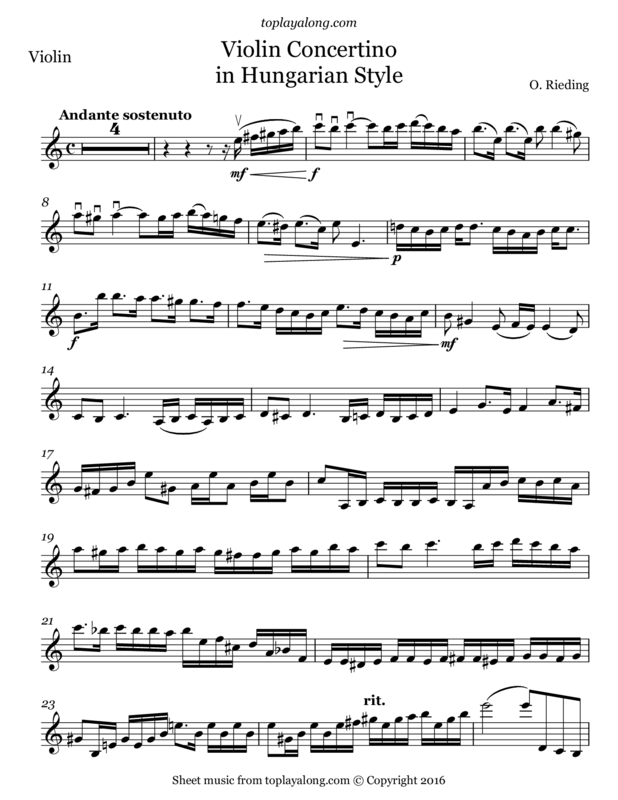 The Concertino in Hungarian Style in A Minor is a 10-minute work of Oskar Rieding (op. 21) for violin and piano , which is well suited for the educational use. The Violin moves exclusively in the 1st and 3rd position. German violinist, teacher of music, and composer of many pieces for violin and piano.